With this new behaviour applied to any panel you will be able to drag the items of any child listbox and drop them where ever you want. In the example you will see that the items get drop into another listbox but this can be easily customized. This behaviour exposes a single event you have to suscribe: onMouseReleased. 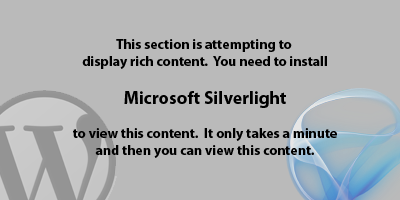 I made this behaviour just to enable double click events in Silverlight. It’s easy to work with this. Just remember to handle the click and double click event of the behaviour and avoid handling the control mouseButtonUp event, as it will make that the behaviour never handles its events. Note that this example takes the button as pressed when the user releases de mouse button.